We are told — and bombarded with images — that peaceful demonstrators were pounced upon by a ruthless authority. This is a mis-narration and mischaracterisation that we need to challenge, not least because the narrative from the private media and its external cousins is unstinting in setting out what history will judge to be a false documentation of Zimbabwe's story. We need to correct that. In fact, the facts on the ground speak for themselves. In this issue we carry stories about the carnage that we saw last week. 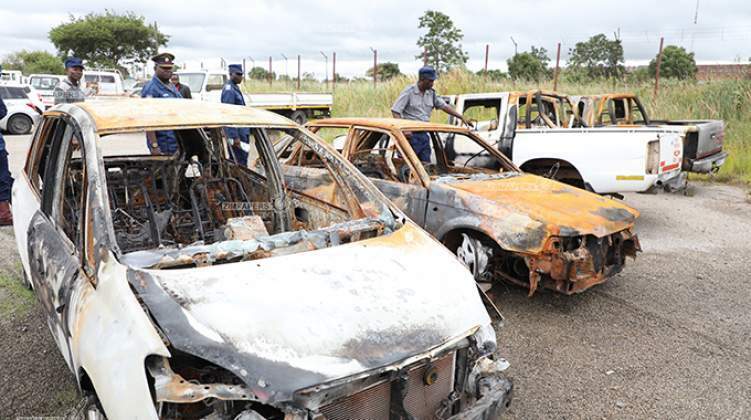 There were many victims of the carnage — the looting, vandalism, theft, robbery and violence. They are speaking out. They are crying. Property was lost. Lives and limbs were lost. The perpetrators of violence were hell-bent on causing mayhem from the very start. The pattern of destruction shows a bunch of people who were on the offensive, something that pre-planning and training obviously played into. The barricading of roads, immobilising of civilians, destruction of Government property and infrastructure does not suggest a peaceful people. It does, rather, show the worst kind of hooliganism and thuggery which is not far divorced from what is generally referred to as urban guerrilla warfare. The streak of destruction is clear. On the other hand, the net is closing in on those who were behind the reprehensible activities, some of whom took the loot home. Unfortunately for them, the goods they looted are coming back to haunt them. Authorities are recovering much of this — and of course they are the smoking guns of last week's crime. There are even quite dramatic stories of how people stole different things, from meat and whisky to traffic lights. Some tales would have been quite hilarious had they not concerned a matter of national security. We are happy that finally the truth is coming out. We all have a duty to expose these malcontents and ill behaviour which, at the end of the day, have a negative impact on the image and projection of the country. Finally, it must be emphasised that the mischaracterisation of last week's violent demos as an expression of democracy is truly awkward. It is a lie whose legs are so short.